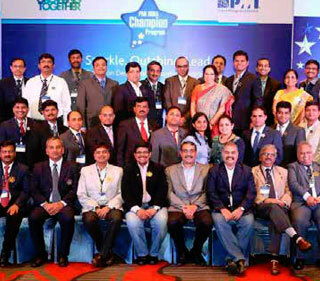 PMI India Senior Champion Kiran Rajeshirke was a speaker and panel member at a symposium organized by PMI Pune-Deccan India Chapter on 25 March. The topic, big data analytics and its adoption for next-gen products and services, brought together the project management community from every industry segments and their ecosystems. PMI India Champion Kamaljeet Singh ran an awareness building program for senior executives of Oil and Natural Gas Corporation (ONGC). The session was attended by around 25 senior officers from ONGC with over 15 years of experience in executing complex projects and managing the same across various locations. The entire program was modularized and planned considering the audience experience level on Microsoft Project (MSP) 2016. The session was focused on providing hands on experience and covering practical scenarios and usage of MSP 2016 for beginners and advanced users. Some of the advance topics were custom reporting on schedule tracking, variances, percentage complete, physical percentage completion of work, and weightages. Mr. Singh also gave an introductory talk on Enterprise Project Management System. 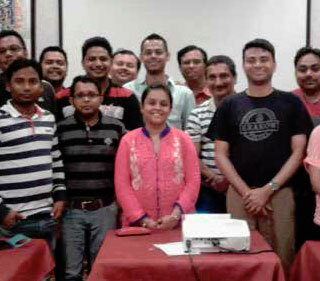 PMI India Champion Ravindra Kulkarni conducted an awareness building session on roles and responsibility matrix, “Responsible, Accountable, Consulted, Informed (RACI),” titled “RACI - Myths and Facts,” at GlobalEdge Software, Bangalore for business heads and executives of various enabling functions. There were over 40 participants. 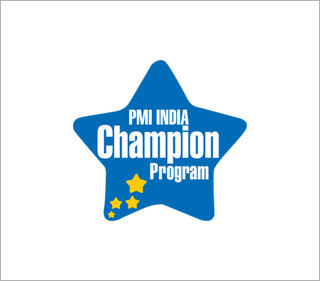 The session was coordinated by PMI India Champion Raghavendra Guruprasad and Ramya HS, from the quality department of GlobalEdge Software Ltd. The participants are now keen on completing the RACI matrix for various enabling functions identified in the next three months.